An all-party group of Parliamentarians will hold an inquiry into the Government’s commitment to cycling in Westminster on Monday (23rd May). The inquiry will take evidence from the Transport Minister Robert Goodwill MP, Olympic gold medalist Chris Boardman as well as cycling organisations and transport experts on recent government proposals outlined in their consultation for the ‘Cycling and Walking Investment Strategy’, which closes on Monday 23 May. The last APPCG last inquiry in March 2013 resulted in the ‘Get Britain Cycling’ report with 18 recommendations to improve cycling. This inquiry led to a debate in the House of Commons with over 100 cross-party MPs attending and supporting the recommendations. Following this activity, the Prime Minister announced a ‘cycling revolution’ in August 2013, funding of £10 per head was announced for 8 cycling cities in November 2014, and the first Cycling and Walking Investment Strategy was announced as part of the Infrastructure Act in January 2015. 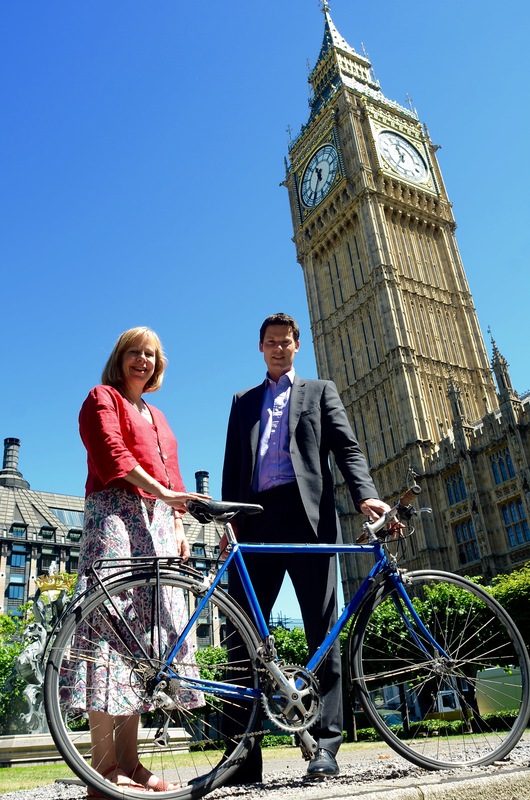 Ruth Cadbury MP (Brentford and Isleworth, Lab) said: “The Cycling and Walking Strategy is a first for Government, so it is to be welcomed and deserves proper scrutiny. Our inquiry will seek to be assured that the Government is able to meet its laudable aim of making cycling “the natural choice for shorter journeys or as part of a longer journey”. “We will want to establish if the Government’s proposed funding of £300m is enough to meet their targets for greater rates cycling in the UK.